India’s first two Dassault Mirage 2000 fighters have completed extensive upgrade activity in France, with the conversion programme now to move to Hindustan Aeronautics (HAL) in Bengaluru. Modified by Dassault and Thales at Istres air base, the programme’s lead aircraft were formally accepted on 25 March. Originally flown in the T/TH configuration for India, the pair – a single-seat fighter KF107 and a two-seat trainer KT201 – are now redesignated as I/TI models, respectively. 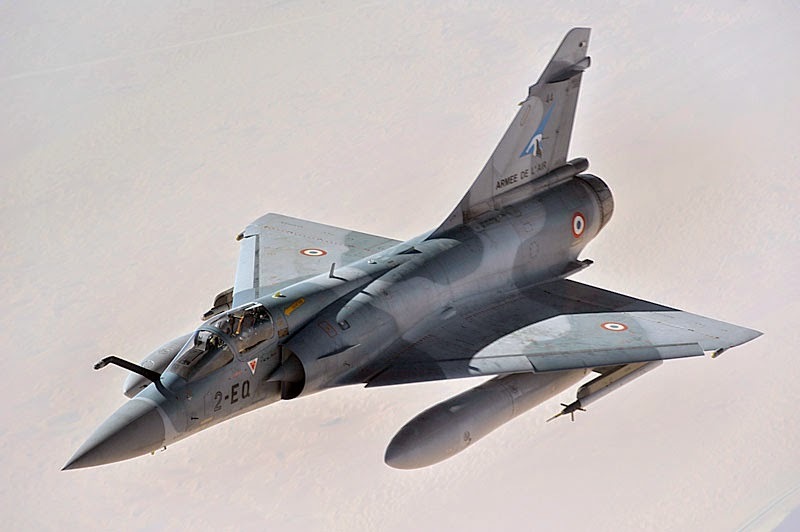 New Delhi signed a $2.4 billion upgrade deal for the Mirage 2000 fleet in July 2011. The first updated airframe, KT201, was returned to flight status in October 2013, followed two months later by the single-seat KF107. The country’s order originally covered 51 aircraft. Key elements of the upgrade include a Thales RDY fire-control radar and new glass cockpit avionics equipment, as well as the integration of MBDA’s Mica short-/beyond-visual-range air-to-air missile. Images released by Dassault show two of the weapons being carried by each upgraded aircraft. Meanwhile, Dassault chief executive Eric Trappier gave a brief update on the status of discussions with New Delhi linked to the company’s selection for the 126-unit medium multirole combat aircraft (MMRCA) deal. Describing the Rafale as “the next logical step” for the Indian air force, Trappier says “exclusive negotiation is ongoing”. The Rafale team was selected for the MMRCA programme in January 2012, following a competition also involving the Eurofighter Typhoon.